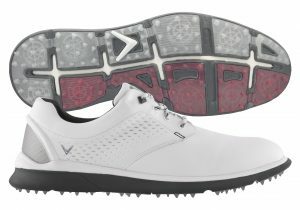 Amesbury, Mass., September 13, 2018 – Callaway footwear is expanding its spikeless offerings with the addition of the new Skyline golf shoe. 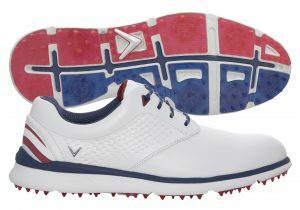 This contemporary classic design is fused with the new Callaway POWERdrive™ Platform for total comfort and performance. 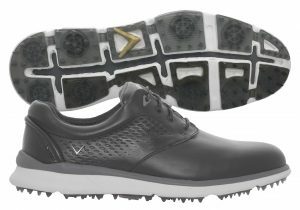 The Skyline golf shoe will be in the golf shops in early October and like all Callaway footwear, it will be ready to wear right out of the box. Through an unwavering commitment to innovation, Callaway Golf Company (NYSE:ELY) creates products designed to make every golfer a better golfer. Callaway Golf Company manufactures and sells golf clubs and golf balls and sells golf accessories under the Callaway Golf® and Odyssey® brands worldwide. For more information, please visit www.callawaygolf.com.